A friend was visiting recently, and the conversation turned to makeup. Eventually, it led to lipstick. It always leads to lipstick, doesn’t it? I think that’s the first taste of makeup we experience as young girls; getting a little swipe of our mother’s lipstick. Oh, the thrill. 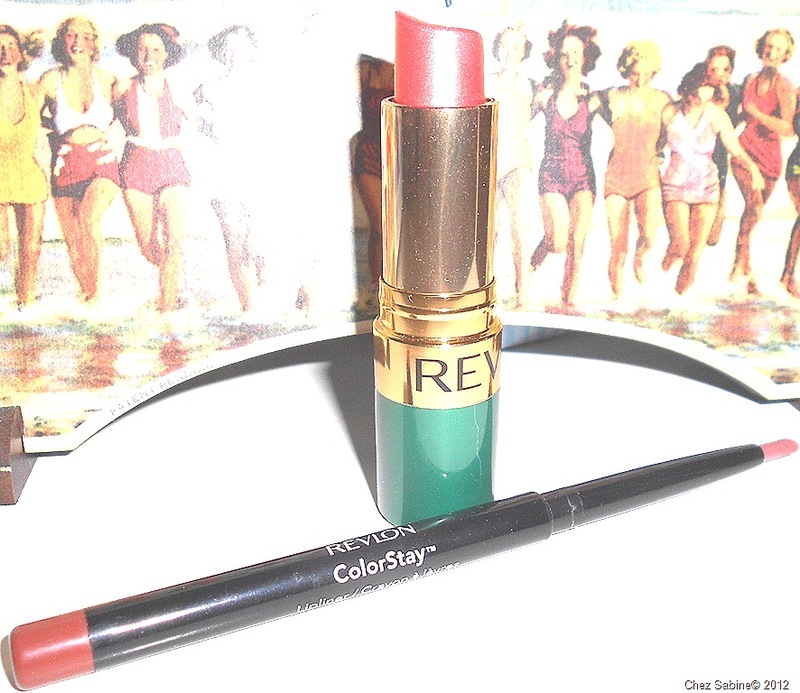 As adults, the big quandary with lip color is finding a way to keep it on and looking fresh for more than 30 minutes. I know women who can put on their lips, head out the door and have it nearly disappear before they hit the second traffic light. And, God forbid, they drink a cup of coffee. They can kiss that lipstick goodbye on the cup. Happily, I don’t have that problem. I have plenty of others, but I used to say that I could eat a rack of ribs and my lipstick would still be in place when I laid the last bone down. Let it be known that I have never eaten a whole rack of ribs. That’s just the stuff of dreams. To me, the lipstick’s staying power comes in the application. If I take my lipstick and apply a coat or two on bare lips, it looks pale, blah and, more importantly, my lips have little definition. Plain lips with a thin layer of powder. The first step is to make sure you start out with dry lips. Don’t begin if you just applied cream or lotion. 1. Dab a little powder all over your lips, just on the lips, not outside. Use your finger and rub it in evenly. My favorite is MAC Mineralize Skinfinish Natural. 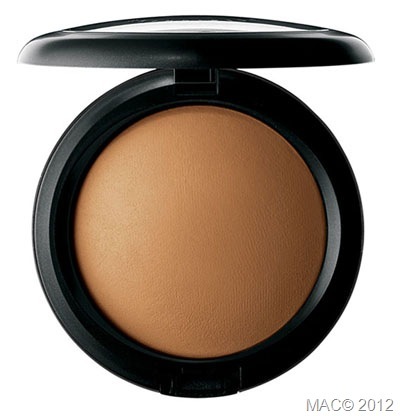 This compact powder is something I always have in my bag of makeup tricks. It provides terrific cover, and the matte finish is perfect on my skin. While I might appreciate some glittery things, I don’t like them in my makeup because they tend to bump me into a higher age bracket, and I really can’t afford that sort of thing. 2. Now that you’ve primed your lips, they’re ready for shaping with a lip liner. I use any that claim to be long wearing or long lasting, nothing that might be moisturizing. (My lips aren’t dry, if yours are, exfoliate with a toothbrush – one used only for that purpose, please.) I like to use a liner that’s a shade darker than my lipstick but in the same color family. For this demo, I used Revlon ColorStay Sienna/Ocre. It’s not my first choice, but I can no longer find the perfect one I used to buy. Make sure your lip liner point is sharp for better definition. And, for God’s sake, don’t leave the house looking like this. Continue with the remaining steps. 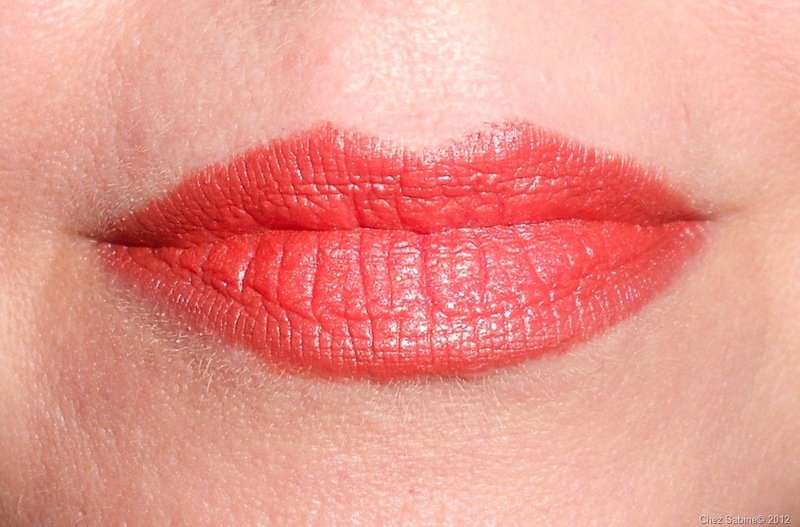 Please, please, do not go outside your natural lip line and onto your skin with the lip pencil. But do go to the very edge, especially at the center of your bottom lip. If you don’t, then you end up looking like you have a white outline. Very unattractive. Trust me. 3. The next step is crucial. 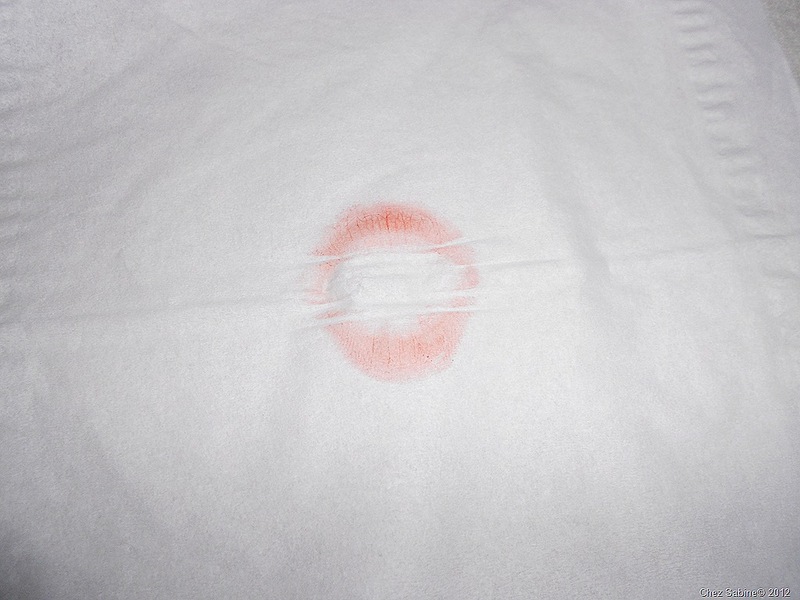 With the same lip pencil, fill in your lips, then smooth them out gently with a tissue, without disturbing the outline. If you don’t fill in with liner, your lipstick will wear off fairly quickly and you’ll have those silly looking outlines around your mouth with no color on your lips. And to think that some people purposely go out in public like that. The lips are taking shape. They’re almost done. 4. Now, simply apply a coat of your lipstick to your upper and lower lips, then blot with a tissue, taking care to not blot too hard or you could smear your perfect outline. 5. Add a final coat of lipstick and, if you need to, this is the time to lightly tweak your liner. That’s it, you’re done and you have luscious lips that should stay that way for hours. Well, that is unless you lick them often or use lip gloss. Gloss is the kiss of death when it comes to keeping your lipstick in place. Can you tell which one is the primed and lined mouth and which is swipe and go? I’ll take the lips on the top, thank you. Here are the three items I used to get the look and staying power. Thanks so much for reading. And if you have any great tips when it comes to lipstick or makeup in general, please share. I’d love to know. Sabine, all of this was very new to me. (And I am no spring chicken!) They say you cannot teach an old dog new tricks, but I plan to learn this one. A good mouth can save an otherwise minimal makeup, in my opinion. Your valuable tips are perfect for summer and should become standard procedure thereafter. Thank you, Kimberly. You’re right, perfect lips, a pair of fabulous sunglasses, and you’re ready to go anywhere. And thanks so much for reading! So much to learn; so little time. My mother was a BEAUTIFUL woman who always wore perfect make-up, complete with bright red lipstick! She also had lots of beauty tips, so this brings happy memories (of my recent visit with you, as well as distant memories of Mom). She would be so proud I am reading your articles, and even more proud if I would heed your excellent advice! Great work you are doing. Gorgeous website, BTW. Jeannie, I love that this made you think of your wonderful mother. Thank you.